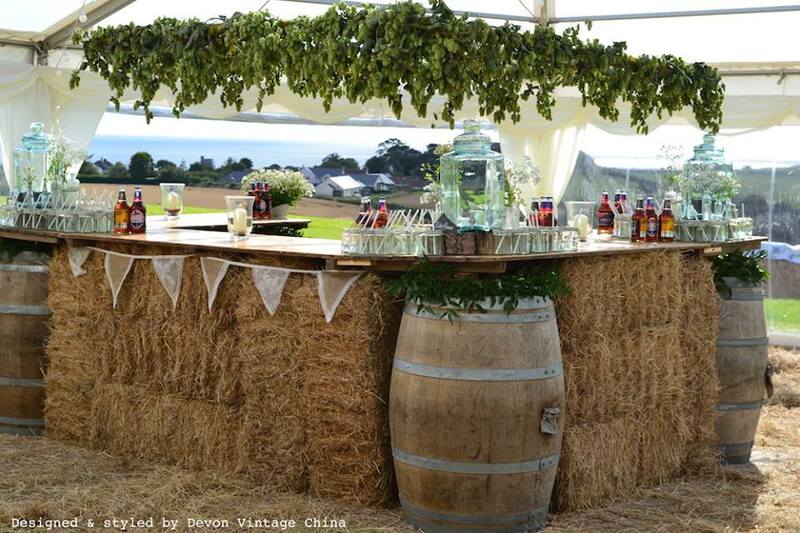 Party Bar hire and Wedding Bar Hire in the South West. Available for delivery throughout the Westcountry, covering Somerset, Dorset, Devon, Cornwall, Bath & Bristol. For a lot of people having a party, the bar area is very important! We offer wooden bar units, and contemporary modern silver aluminium bar units. Bar accessories are also available to create your very own bar. The bar section’s fold flat to ease transportation, but can be assembled very easily. Please see our selection of glasses which includes, cocktail, champagne saucers, tiffany flutes; hi balls for hire. Alternatively we also have superior wine glasses for hire in our Michelangelo, Carlo and Teardrop ranges. We also have a special offer from our vintage range to enable you to build a rustic bar using oak barrels and wooden trestle tables. I am sorry we are unable to supply hay bales, but these are usually easily sourced in the South West from your local farmer, or stables.